To and From the Airport.com - Southwest Alaska. Location: In the North central part of Adak Island, 3 km/2 Miles N of Adak town. Notes: Further information about this airport much appreciated. Airport Tel No: +1 (907) 592 8026. Location: 8 km/5 Miles SW of the City center. Airport Overview: 2 terminals, domestic and International. A free shuttle bus takes passengers between the South (Domestic) Terminal, the North (International) Terminal, and rental car lots on the Airport. It runs every 15 mins, all day, every day. By Taxi: To the city centre ~$16-20/15-20mins. Alaska Yellow Cab (907) 222 2222 & Checker Cab (907) 276 1234. Transit Bus 7A: Runs from the airport to Downtown Anchorage Mon-Fri 0700-2300, Saturdays 0800-1945 and on Sundays 1000-1800. Cost: $1.75 one-way. Tel (907) 343 6543 or www.peoplemover.org for more info. Note: Bus route 7A also provides service to the Dimond Center Mall area in South Anchorage. This is the opposite direction from downtown, but both directions use the same bus stop, so riders should ensure they board the correct bus. Hotel Buses: Free airport pickup is provided for guests by many local hotels and motels. Arrange service through the telephone information board in the baggage claim area. By Shuttle Van: Dynair Limousine van hourly 0500-0200, ~$9. Alaska Tourquest/Hotel Airporter Express (907) 344 6667. Borealis Super Shuttle (907) 276 3600. By Train: Alaska Railroad station is attached to the South Terminal, but is used for cruise charter train passengers only with service to Whittier and Seward. On-Airport Rental Car Providers: ALAMO, AVIS, Budget, Dollar, HERTZ, National & Thrifty. Car rentals are in a consolidated rental facility attached to the south terminal. 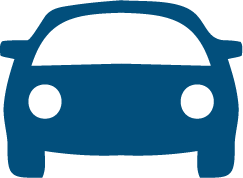 Car Parking: On-airport parking rates: $11/day in short-term garage (maximum 30-day stay); $9/day in nearby long-term lot (5-minute walk from terminal or served by airport shuttle bus; maximum 90-day stay); $10/day in North Terminal lot. Airport shuttle bus runs at least every 15 minutes (usually more often) and links north terminal, south terminal, and long-term parking lot. Baggage Storage: Left luggage facilities reported to be available 24 hrs. Airport Tel No: +1 (907) 266 2525 or 2526. Location: Right in the middle of town. Location: 5 km/3 Miles SW of Bethel center. By Taxi: Airport Cab (907) 543 5800, Yellow Cab (907) 543 5552, Yukon Cab (907) 543 5500, Quyana Cab (907) 543 5454, City Cab (907) 543 4141, Tai Tai Taxi (907) 543 4056, Kusko Cab (907) 543 2169, Alaska Checker Cab (907) 543 2111 & Alaska Cab Co (907) 543 2040. Location: 16 km/10 Miles ESE of Cordova. By Taxi: Cordova Taxi Service +1 907 424 5151. By Shuttle Van: The Airport Shuttle meets most flights and runs into town for ~$12. Chinook Auto Rentals Tel (907) 424 3272 or 877 424 5279 are located to the left of the terminal in the Red Caboose (just accross the parking lot from the Alaska Airlines terminal), and operate a shuttle to Cordova for $10 per person. Rental Cars: Chinook Auto Rentals Tel 424 3272 or 877 424 5279 are located to the left of the terminal in the Red Caboose (just accross the parking lot from the Alaska Airlines terminal). Cordova Auto Rentals +1 (907) 424 5982. Airport Tel No: +1 (907) 424 7151. Location: More or less in the middle of Dillingham town. By Taxi: Bill’s Taxi and Delivery (907) 842 7433, Ernie’s Cab (907) 842 2606 & Nushagak Cab of Dillingham (907) 842 4403. Airport Hotels: Airport B&B, Contact Theresa or Dave McGill (907) 842 4001. Location: On the SE corner of town, 1 km/1 mile E of the centre. Rental Cars: HERTZ +1 (907) 235 0734, Homer Jeep Rental (907) 235 8640 & Polar Car Rental 1 800 876 6417 or (907) 235 5998. Location: 1½ km/1 Mile NE of Kenai. By Taxi: Alaska Cab Inc +1 (907) 283 6000 or 262 1555 & Inlet Cab (907) 283 4711. Rental Cars: AVIS +1 (907) 283 7900, Budget, PAYLESS (907) 283 6428, HERTZ (907) 789 9494 & National (907) 789 9814. Location: At the SE end of town. Location: 10 km/6 Miles SW of Kodiak town. By Taxi: To town $10-15. A & B Taxis +1 (907) 486 4343. By Bus: KATS operates a bus twice a day between the airport and the city. Location: 3 km/2 Miles N of town. By Taxi: Blue Checker Taxi: +1 (907) 581 2186. Rental Cars: Northport 581 3880 & BC 581 6777. Location: 6 km/4 Miles E of Valdez. By Taxi: To town ~$10. Valdez Yellow Cab +1 (907) 835 2500. Rental Cars: Valdez-U-Drive (907) 835 4402 & HERTZ (907) 835 4378.